Wood windows offer style and energy efficiency to make your house feel like a home. 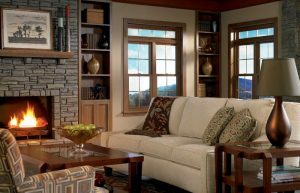 There are countless options available when upgrading the windows in your home, but nothing compares to the warmth and beauty of traditional wood windows. At Tight Line Exteriors, we know that investing in new Atlanta wood windows is a big decision, and we’ll be with you every step of the way to ensure decades of home value and enjoyment. Free, in-home estimates with no hidden fees! For energy-efficient replacement windows in Atlanta, Alpharetta, Roswell, and beyond, there’s nobody more trusted than the pros at Tight Line Exteriors! To get more information on our selection of stunning wood windows, contact our team today. Just give us a call or fill out our online form, and we’ll help you get set up with a free, no-obligation estimate at a time that suits your busy schedule.